Providing Opportunities For Young People. Coaching - this is somewhat different than a 'franchise'. 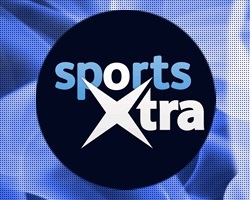 It gives you flexibility that suits you and no fixed-term contract length and still benefit from support from Sports Xtra. Delivering sport and physical activity sessions in and out of school to inspire children to live a healthy, fit and fun life. It's the UK's largest children's coaching company of its kind, delivering more than 20,000 activity sessions per month. Using football to give children from 18 months - 7 years, confidence, co-ordination, control and sense of camaraderie. Little Kickers teaches fundamental football techniques and elementary life skills in a group play environment. Providing Opportunities For Young People. Sports Xtra is a leading children's physical activity provider that focuses on giving every child the genuine opportunity to enjoy a positive experience through physical activity.